I’ve previously posted dumpling recipes made with kimchi and meat as the main ingredient. Here, I made shrimp dumplings, saewu mandu (새우 만두). 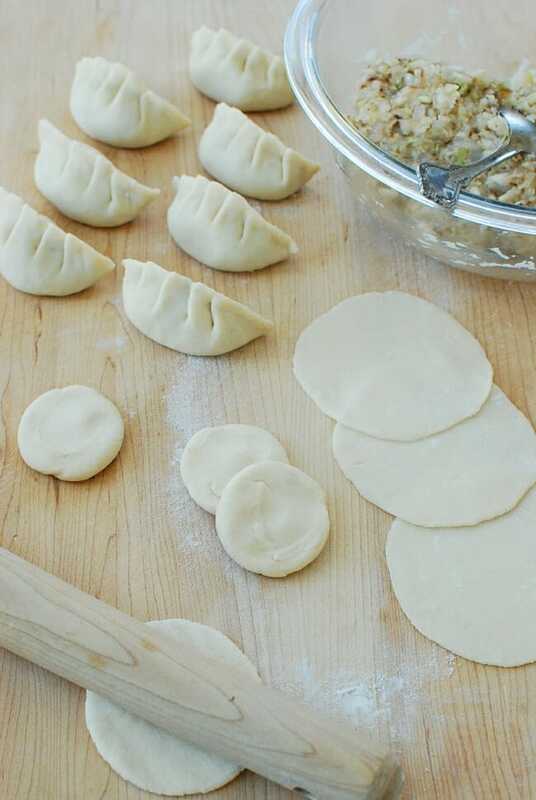 I’m also going to show you how to make homemade dumpling wrappers. I must admit, I usually use store-bought wrappers to make my dumplings. I can find pretty good ones at Korean markets around here. When I make dumplings, I make a lot of them to freeze, so I go for a short cut to save time. Recently, our dear friends invited us to a dumpling dinner when their daughter’s family visited from NY. I was excited because I knew my friend always makes her dumplings with homemade wrappers. When we arrived, the mother was rolling the dough out and then handing them over to the daughter so she can wrap the filling in it. It seemed like they had their routine down, so everything looked so effortless. The two year old granddaughter, who had flour all over her little cute face, was also helping by rolling the dough with her own little rolling pin. It looked like so much fun, and the dumplings were incredible! I came home totally inspired! It’s really not that hard to make wrappers at home. As my friend would say, all you need is good old all-purpose flour, salt and water. Homemade wrappers taste much better. They are also more resilient and durable to work with. Try to make them, especially if you can’t find good pre-made wrappers where you live. After making several batches of wrappers to write this post, I think it’s going to be very hard for me to go back to store-bought wrappers. Add 2 cups of flour to a large bowl. Dissolve 1/2 teaspoon of salt in 2/3 cup hot water. Add the water to the flour in a steady stream while mixing quickly. Keep mixing by hand until the dough comes together. After resting, the dough should feel soft and smooth. Cut each log into 3/4 to 1-inch pieces. Press the cut side with the thumbs to flatten to a small disk. Dust and roll out each disk with a small rolling pin to a thin 3-1/2-inch circle. (You can use a round cookie cutter, if you want.) Make a few wrappers at a time and wrap the filling in. Always cover the dough that’s not being used. 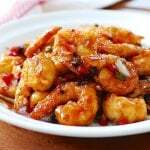 Peel, devein, and rinse the shrimp. Finely chop or pulse several times in a food processor. Finely chop the cabbage. Mix with 1 teaspoon of salt. (If using a food processor, add salt with the cabbage before pulsing.) Let sit for 5 – 10 minutes. Squeeze out excess water. Finely chop the onion and mushrooms. Combine all the ingredients in a large bowl. Mix well by hand. Place a tablespoon of the filling on a wrapper. You don’t need to wet the edges of the homemade wrapper. Seal tightly (pushing the air out with your fingers) into a half-moon shape. (You can add pleats if desired.) Dust the bottom of the dumpling with flour to keep it from sticking as the skin absorbs the moisture from the filling. Repeat this process until all the filling/wrappers are used. For jjin mandu (steamed), steam the dumplings for about 10 minutes in a steamer (longer if frozen). 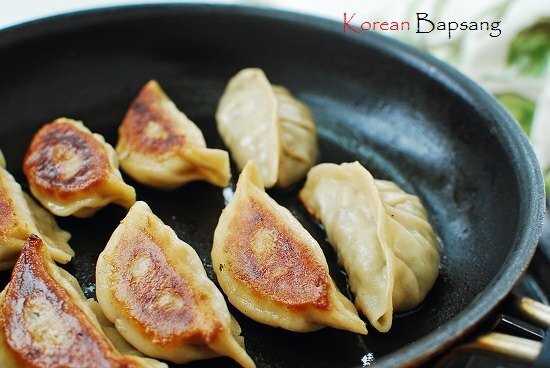 Make sure to line the steamer with a wet cheesecloth or paper towel to prevent the mandu from sticking. For mul mandu (boiled), bring a pot of water to a boil. Add mandu (stirring gently so they don’t stick to the bottom of the pot), a few at a time, and cook until all of them come up to the surface. Continue to cook for another minute or two. 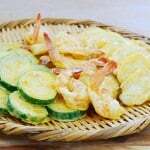 For gun mandu (pan fried), heat the pan with 1 tablespoon of vegetable oil over medium high heat. Add the dumplings, making sure they aren’t touching each other. Fry for 1 – 2 minutes, until the bottoms are golden brown. Add 1/4 cup of water to the pan, and cover immediately with a lid. Reduce the heat to medium low, and steam for 4 to 5 minutes. If the dumplings are frozen, cook a little longer. Tips for freezing: Freeze the dumplings on a tray with no pieces touching for about an hour, and then store them in a freezer bag. Otherwise, the skins will get soggy from the moisture in the filling and stick together in the freezing process. Perfect shape mandu! I love that you made wrapper from scratch. I need to do it one of these days. I know it’s a lot tastier than store bought. Now I got craving for mandu! What a wonderful instructions. Beautifully made mandu- I can eat so many in one sitting, and they are so delicious. I love, love your recipe. By the way tempting pictures! Love the dough, very simple, I am going to try to make these. Thank you for a recipe! Thanks! Let me know how it turns out for you. 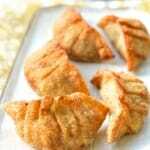 I have tried your saewu mandu..but I used chicken instead shrimp, so its name should be dak mandu, right? 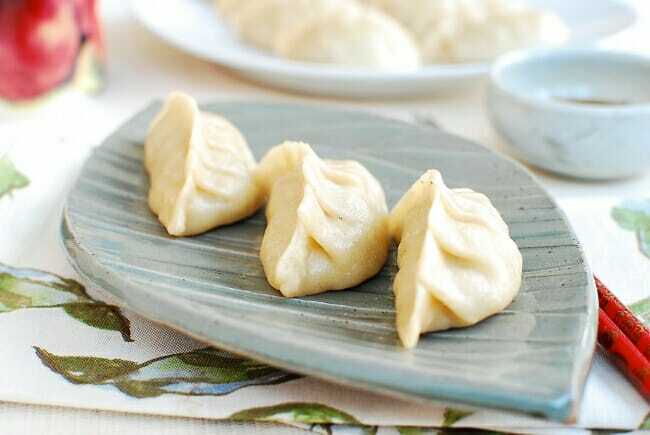 Thank you for sharing, it is the first time I made dumpling, your post really helpful. 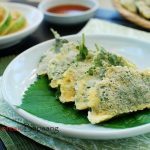 Posted already on my blog and link back to korean bapsang. 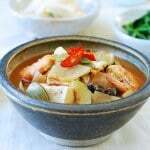 I have tried your putbaechu doenjang muchim before, maybe you remember me, I leaved comment too, thanks again. I know where I will go if I will make Korean food..he he he…bookmarked korean bapsang. 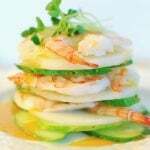 Thank you so much for trying my recipes! Your dumplings look great! And that was your first time making them? Wow good job!